The Republican Party needed a candidate. 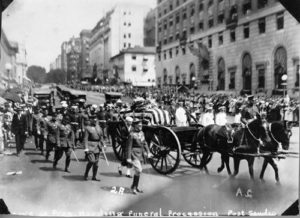 Someone who looked “presidential” – Ohio senator, Warren G. Harding. 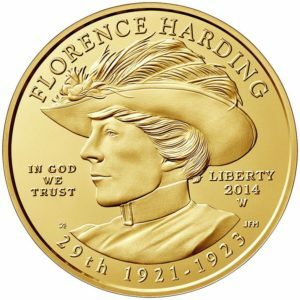 Harding had a formidable secret weapon – his wife Florence, five years his senior. If Florence could not be president, she could be married to one. They hired a public relations guru, Albert Lasker. He emphasized Harding’s president-ability. 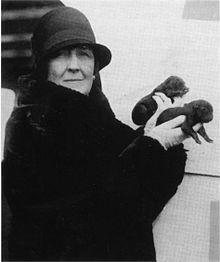 But Harding had baggage. He was a womanizer. Did Florence know? 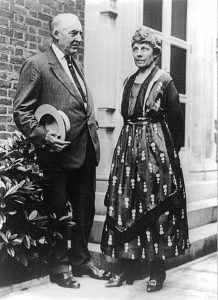 To Harding’s credit, when he became the nominee, he revealed one affair – with Florence’s good friend, Carrie Fulton Phillips. The Republican committee demanded her silence. She negotiated. She got a paid-in-full tour of Asia, plus yearly “silence money” for the rest of her life. Harding beat James Cox by the largest winning margin to date – 60% to 34%. 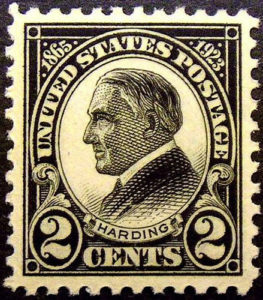 Harding was now the 29th president of the United States. Both Hardings gloried in the presidency. Florence was truly the woman behind the man. He called her “the Duchess.” They loved their country and traveled widely by train. In July 1923, they worked their way from Alaska down to San Francisco. In Alaska, while playing golf, Harding vomited. Food poisoning? 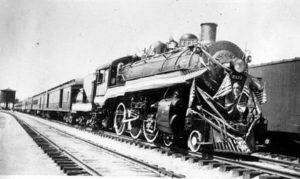 On the train south, he sometimes felt ill, but in San Francisco, with doctors’ help, he rallied. Then on the evening of August 2, while alone with his wife in their suite, he was talking, shuddered, and fell dead. Aha! She poisoned him! She refused an autopsy. The doctors – her doctors – issued a death certificate that said there was “some brain evolvement.” Florence went back to the White House, where she lived with the new First Family, the Coolidges, for a month, spending her time destroying both public and private papers. In the end, she managed to get rid of a huge trove of papers, but not all. More than 100 love letters survived from Phillips; they will be released, by court order, in 2024. She got a gold coin, he got a 2cents stamp. Justice served? With today’s forensics, couldn’t they exhume his body and determine if he was poisoned?